Traditionally speaking the Garden refers to the querent’s entourage. When this card falls far from the significator card in a Grand Tableau, it literally means that your social network is not as close to you as you would like, and even hints to false friends. This card gives us more information about our social life, how popular (or unpopular) we are and how engaged we are within our social network. Based on its distance, N ° 20, the Garden, will shows us how valuable interhuman relationships are and how they will affect our wellbeing. Getting more out of your daily readings! Working with a topic for your daily readings is a great way to get more detailed information about a specific event or aspect of your day. In that case the top cards are showing the topic that will be further explained by the three cards below. Here we can see that there will be information (n ° 1, the Rider) that is worrisome (n ° 23, the Mice). Two possible scenarios… (or perhaps a mix of both). 1 * – The worrisome news will be about a threat (n ° 10, the Scythe) to my reputation or status (n ° 28 + 32, the Man + the Moon). 2 * – The worrisome information might also be concerning certain risks / dangers (n ° 10, the Scythe) in my work situation (n ° 32, the Moon as a life area card for work). Do you want to learn how to work with the Petit Lenormand cards or get new insights to improve your current reading techniques? 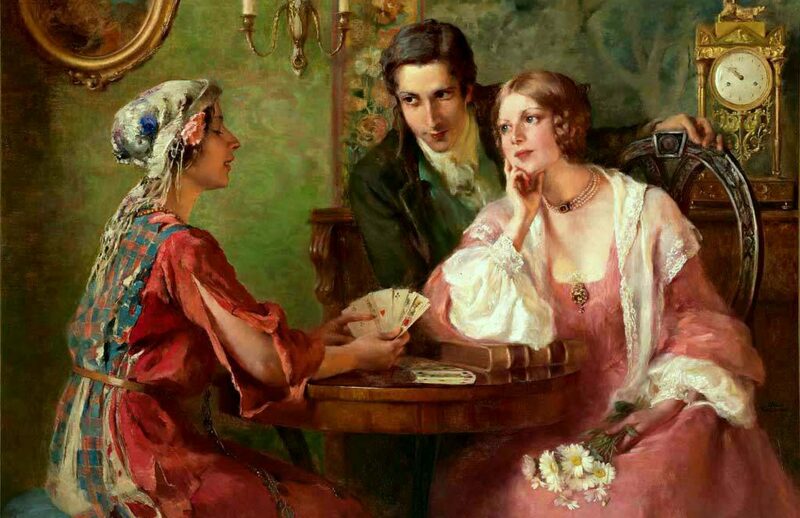 Join us next Monday for the Lenormand Level 1 Workshop! An argument (n° 11) that encounters resistance (n° 21). The options are endless and depend on the specific context of the question. The exact authentic and traditional meanings and methods for the Petit Lenormand can be found in the Petit Lenormand Encyclopedia! Do you also want to learn how to work with these cards and read them as they should be read? CLICK HERE!